The name of this organization shall be the Northlake Unitarian Universalist Church. The mission of this church shall be to nurture a spirit of community among its members and a climate of justice throughout the world. We shall grow spiritually and morally through shared worship, fellowship, education, service, and celebration. Our church community shall respect diversity, defend human rights, promote humane conflict resolution, live in balance with the environment, uphold the principles of freedom, and support the democratic process. This church acknowledges the general guidance of the Unitarian Universalist Association and its area organizations, and regards itself as pledged to cooperate in measures of raising funds and for fostering and extending the denominational interest. c. receiving approval from the Board of Trustees. a. Making a monetary contribution of record during the current fiscal year or a contribution of record during the preceding fiscal year. 3. Terminating membership: There are four methods to terminate membership. Methods © and (d) require action by the Board of Trustees. b. Death of the member. c. Failure to maintain “Continuing membership” requirements as described in Article 4.2.
d. Be removed for good cause by majority vote of the Board of Trustees. The person whose membership is at issue shall have the right to know the reasons for cancellation, have an opportunity to speak to the Board of Trustees before the vote on cancellation and have the right to appeal the cancellation within 30 days to the next congregational meeting by requesting inclusion on the meeting notice. The membership audit shall confirm retention of membership and UUA membership status. 5. Privileges of membership: Members are granted the privilege of voting at congregational meetings. 6. Contribution of record: For the purposes of article 4.2 and 4.3, a monetary contribution of record is an identifiable payment from the member. We the members of Northlake Unitarian Universalist Church resolve for the Church never to discriminate against anyone, intentionally or unintentionally, on the basis of race, color, gender, gender expression, affectional or sexual orientation, age, physical disability, religious background, national origin, economic status, social status, or political affiliation. In addition, we pledge that the Church is a Welcoming Congregation. As a Welcoming Congregation we affirm and promote full participation of all persons in all our activities, including membership, programming, hiring practices, and call of religious professionals. As a Welcoming Congregation we also pledge to actively promote ourselves to the community and to society as a place that gives and maintains a cordial welcome to all persons who are in accord with our principles and programs. 1. Regular. Two regular congregational meetings shall be held each year. One shall take place within the month preceding the Every Member Canvass. The other shall take place during the month preceding the beginning of the new fiscal year to allow the new Board of Trustees to be in office for the adoption of the operating budget with which it will work. The agenda for each meeting shall be determined by the Board of Trustees, but the meeting first mentioned above shall include the election of new trustees. Also, at both meetings, provision will be made for new business; i.e., for any motions to be made from the floor. The meetings may coincide if deemed appropriate by the Board of Trustees. 2. Special. Special congregational meetings may be called by the President or a majority of the Board of Trustees or upon written request of seven voting members to the Board of Trustees. Notice of such meetings shall contain the specific purpose for which the meeting is being called, and only these specific matters shall be considered by the special meeting. 3. Quorum. Thirty percent (30%) of the voting members shall constitute a quorum. 4. Rules. Robert’s Rules of Order (Revised) shall be the parliamentary authority at all meetings. 5. Voting. For routine matters, a majority vote of the members present is required. For high impact decisions, as listed in Article 7, a two-thirds majority vote is required and the total “yes” votes must be equal to at least 30% of the membership of the church. Absentee and proxy voting are not allowed. 6. Notice. Notice of Membership Meetings, stating the place, day, and hour, shall be delivered not less than 10 or more than fifty days before the meeting date to each member entitled to vote. In the event that a “high-impact” decision is on the agenda, the meeting notice must be at least 20 days before the meeting and the details of the proposal must be contained in the notice. a. The right to buy and sell or otherwise dispose of property valued at $25,000 or more. b. The right to call or dismiss a minister. c. The right to amend the bylaws. d. The right to incur obligations in excess of $25,000. e. The right to commence a capital campaign with a goal in excess of $50,000. 1. The Board of Trustees shall consist of one member for each twenty voting congregational members as determined annually under Article 4. The Board of Trustees shall have at least seven members and no more than nine members. A majority of the Board shall constitute a quorum. All matters of policy concerning the welfare and functioning of the church shall rest within the Board of Trustees. It shall be the continuing responsibility of the Board of Trustees to evaluate the overall functioning of the church to insure that the purpose of the church is being adequately served. term of service as a Trustee for a continuous period of more than twelve months. 3. In the case of vacancies on the Board created by the death, ineligibility, or resignation of any Trustee, the Board shall, at its next regular meeting, select Trustees to fill such vacancies from a slate provided by the Nominating Committee. Any Trustee so selected to fill any vacancy shall serve until the beginning of the next Board year, before which the congregation shall elect members to fill any remaining unexpired terms of Trustees. Election of members to unexpired terms must occur at a congregational meeting not more than two months prior to the next date of commencement of any terms of Trustees. 4. The Board of Trustees shall hold no fewer than ten monthly meetings per year. A President or three Trustees may call special board meetings by giving notice to each Trustee and posting notice conspicuously in the church building. A Trustee who is absent from three consecutive Board meetings without excuse shall be considered to have resigned. 5. A Nominating Committee of three voting members shall be elected by the congregation to nominate candidates for the Board of Trustees for the consideration of the congregation. Trustees and Nominating committee members must be church members for at least one year. Staff members are not eligible for Trustee or Nominating committee positions. The Nominating Committee shall be elected at the regular congregational meeting which includes election of Trustees. Once elected, members of the Nominating Committee shall serve until the next election of Trustees. No more than one Trustee may serve on the Nominating Committee. No member of the Nominating Committee may serve more than three consecutive terms. The notice of the appropriate regular congregational meeting shall include the names of the candidates who have been nominated both as Trustees and as members of the Nominating Committee. Additional nominations for those positions may be made from the floor at the meeting. Persons nominated from the floor must either be present or give prior written consent to serve if elected. The Board at any meeting shall select members of the Nominating Committee to fill vacancies created by the death, ineligibility, or resignation of any member of the Nominating Committee. 6. At the appropriate regular congregational meeting the election shall be conducted as follows: After nominations are closed, each voting member shall be entitled to vote for as many Trustees as there are vacancies and for members of the Nominating Committee. Voters may not cast more than one vote for the same name. At the conclusion of the balloting, the candidates with the most total votes for each position shall be elected. 1. The officers of the church shall be a President, a Vice President, a Secretary, and a Treasurer. The term of office for officers shall be one year, and term of office shall coincide with the Board year. With the exception of the Treasurer, all officers shall be members of the Board of Trustees. The new Board shall meet prior to the beginning of the new Board year for the sole purpose of selecting officers. 2. In the event that one of the officers is unable to complete a term, the board shall meet and select a new officer to complete the unexpired term. 3. The President shall preside at all business meetings of the congregation and of the Board of Trustees. The President shall sign all legal instruments on behalf the Board of Trustees and the congregation. The President will be an ex officio member of all committees. The immediate past President, if not a board member, may serve as an ex officio member of the board for one year. 4. The Vice President shall assume the duties of the President in the absence of the President and such duties as the President may delegate. 5. The Secretary shall be responsible for the taking of correct minutes of the proceedings of all business meetings and meetings of the Board of Trustees, for overseeing election procedures of the church, for the proper maintenance of all records, books, papers, and the seal of the church, for timely preparation of reports that the church is required to make, for annual review of the bylaws of the church, and for such other duties as are appropriate for the recording official of the church. 6. The Treasurer shall have custody and control of all funds, securities, and valuables of the church and shall select an official depository for these subject to approval by the Board. The Treasurer shall keep account of the receipts and expenditures, pay bills provided by the Board, and prepare financial statements required by the Board. The Treasurer shall be an ex officio member of the Finance Committee and if not already on the Board, an ex officio member of the Board. 1. The pulpit of the church shall be truly free and untrammeled. 2. The minister shall be called for an indefinite term by written ballot at a regular or special congregational meeting. Compensation shall be approved by a vote of the congregation as part of the annual budget approval. 3. Dismissal or resignation of the minister shall carry not less than a 90-day termination period, except as may otherwise be approved by mutual consent of the minister and Board of Trustees. The minister may not be dismissed except by a written ballot vote at a regular or special congregational meeting called and conducted in accordance with Article 6. 4. After consultation with the minister, an associate minister may be called in the same manner set forth above in Section 2, and Section 2 and 3 of this Article shall apply to the associate minister as well as the minister. 5. It shall be a duty of the minister to make a full report to the congregation at regular meetings and to bring to the attention of the Board of Trustees any matters which seem pertinent to the general welfare of the church, and to make such recommendations as seem proper, but the final decision in matters of policy and procedure shall remain with the Board of Trustees or the congregation. g. to serve as a nucleus of the Ministerial Search Committee when such a committee is required. a. Appointments will be for two-year terms. b. No member shall serve for more than four consecutive years. c. The term of office shall commence with the Board year. d. At least two members will be appointed each year. e. Should there be a resignation during the year, replacements shall be appointed by the Board from a list of three candidates submitted by the Minister for each open position. 8. The President of the Board shall appoint a member of the Finance Committee to sit with the regular members of the Committee on the Ministry to review the Minister’s Annual Remuneration package. 1. Each committee and affiliated organization of the church shall work in cooperation with and subject to approval of the Board of Trustees. 2. Line of responsibility for committees shall be determined by the Board of Trustees. 3. Any committee or affiliated organization of the church arriving at a statement of attitude on social action that is to be announced publicly shall announce the statement as coming from the committee or affiliated organization and not from the church as a whole unless prior approval has been obtained from the congregation to speak in the name of the congregation or from the Board of Trustees to speak in the name of the Board of Trustees. 4. Chairs of the committees and affiliated organizations shall be appointed by the President with the advice and approval of the Board of Trustees. 1. The fiscal year shall begin July 1. The books for the fiscal year shall be audited during the first six months of the following year, or at any other time specified at a congregational meeting. An auditor or audit committee will be appointed by the Board of Trustees and may include a member or members of the congregation but must not include anyone who has served as Finance Chair or as Treasurer during the period to be covered by the audit. 2. Whenever these bylaws or state law require written notice to the members or to the Board of Trustees, that notice may be provided electronically, following procedures consistent with Washington state law, which requires individual consent, in the form of a record. 1.1 Operating Account. This account is the church’s primary checking account for day-to-day operations. It shall be used to receive church operating budget income from operating budget pledges, contributions, fundraising, fees, rent, and other miscellaneous receipts not specified for another account; to make all expenditures related to the operating budget of the church; and as a depository for the church’s various holding funds, i.e. funds that are off-budget. A sufficient balance shall be maintained in the Operating Account to reasonably ensure no overdrafts will occur during the normal day-to-day conduct of church business. 1.2.1 Temporary Operating Account Shortfall. The Board of Trustees may authorize, by a simple majority vote at a legally convened meeting, the temporary use of funds from the Operating Reserve Account to meet operational liquidity needs that may arise. If the funds so used cannot be restored in full to the Operating Reserve Account within 60 days, a special congregational meeting shall be convened by the Board of Trustees per the requirements of Article 6. 1.2.2 Operating Budget Shortfall. At either of the two regular annual congregational meetings (or at a legally convened special congregational meeting), the voting members of the congregation may authorize the use of funds from the Operating Reserve Account to make up for projected operating budget shortfall, subject to the requirements of Article 6. If the proposed expenditure is projected to reduce the Operating Reserve Account below its required minimum level, the proposal shall specify how the account balance will be restored to its required minimum level. 1.2.3 Surplus in Operating Reserve Account. If it is determined that the Operating Reserve Account balance is more than sufficient to cover two months’ normal operating budget expenditures, the Board of Trustees may authorize, by a simple majority vote at a legally convened meeting, the use of the surplus funds from the Operating Reserve Account for other financial needs of the church, for example by paying down debt or by adding to the Endowment Fund. 1.3 Capital Reserve Account. This account shall be used to maintain or improve the physical plant of the church including, but not limited to, major maintenance of buildings, capital improvements, and/or renovations. Gifts, bequests, and transfers to the Capital Reserve Account shall be prudently invested and managed with the primary goal of achieving modest growth over time while preserving the account’s assets. All Capital Reserve Account expenditures for the above purposes shall be authorized by a simple majority vote of the Board of Trustees, subject to the restrictions of Article 7. Any other proposed expenditures from this account shall be presented to a legally convened congregational meeting subject to the requirements of Article 6. 1.4 Emergency Account. This account shall hold “rainy day” funds to be used to cover unforeseen operating or capital expenses. Gifts, bequests, and transfers to the Emergency Account shall be prudently invested and managed with the primary goal of maintaining liquidity while preserving the account’s assets. All Emergency Account expenditures for the above purposes shall be authorized by a simple majority vote of the Board of Trustees. Any other proposed expenditures from this account shall be presented to a legally convened congregational meeting subject to the requirements of Article 6. 1.5 Minister’s Discretionary Account. This is a checking account that is funded by donations from church members and friends. Distributions from the account shall be made by the minister to provide confidential assistance to church or community members facing emergency financial need. The minister shall regularly report to the Board of Trustees on the account expenditures while maintaining the confidentiality of the persons assisted. 1. 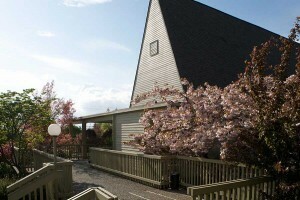 All management decisions for the Northlake Unitarian Universalist Church Endowment Fund (hereinafter called the “Endowment Fund”) shall to be ‘made by the Board of Trustees (hereinafter called the “Board”) with advice from an Endowment Committee,’with administrative implementation by the Treasurer. 2. A Northlake Unitarian Universalist Church Endowment Fund Committee (hereinafter, the “Endowment Committee”) shall be organized by the Board to be an advisory group to the Board regarding Endowment Fund matters. Endowment Committee members shall be members of the congregation not serving on the Board. The Endowment Committee shall create and administer programs to solicit and receive gifts and recognize endowers. They shall maintain a record of and abide by the terms and restrictions of all gifts to the Endowment Fund. They shall maintain a record of reports to the Board. 3. No Northlake Unitarian Universalist Church member shall be compensated for investment, accounting or legal counseling regarding Endowment Fund matters. No person shall engage in any self-dealing or transaction with the Endowment Fund in which the person has direct or indirect financial interest. 4. All Endowment Fund assets shall be held in the name of the Northlake Unitarian Universalist Church Endowment Fund and shall not be comingled with other church accounts. The Endowment Fund may receive all manner of gifts, including cash, securities, real property, illiquid gifts, etc. All gifts shall be converted to cash as soon as practicable, unless restricted by the gift’s terms, unless decided otherwise by the Board, or unless Article 7.2 applies. Unrestricted assets shall be held in cash and/or income-producing securities and accounts. 5. The Endowment Committee shall report at least quarterly to the Board and at each congregational budgetary meeting, giving a complete account of Endowment Fund administration since the previous report. 6. Any audit of the NUUC’s financial accounts shall include the Endowment Fund. 7. The Endowment Committee shall determine what are the defined principal and defined undistributed income portions of the Endowment Fund. 8. The defined principal of the Endowment Fund shall be the sum of the gifts to the Endowment Fund. The defined principal shall be increased at the first report of each fiscal year by the estimated rate of inflation during the preceding fiscal year applied to the closing defined principal balance of the preceding fiscal year. The defined undistributed income of the Endowment Fund shall be that part not assigned to the principal or paid out as distributions. 9. Unrestricted gifts to the Endowment Fund shall accumulate until the end of Fiscal Year 2016 or until a combined principal and undistributed income value of three hundred thousand dollars ($300,000) is achieved, whichever comes first. Board approved distributions may be made in FY 2017 and the following fiscal years only from the defined undistributed income portion of the Endowment Fund. Should the Endowment Fund’s value fall below the defined principal amount, distributions shall cease until defined undistributed income is again available, unless, in a congregational meeting called specifically for the purpose of invading the-principal, ‘a two thirds majority vote of members present approve invading the principal. 10. Distributions from the Endowment Fund shall be made only to support special projects and normal operating expenses as recommended by the Board and approved by the congregation during congregational meetings. No more than twenty-five percent (25%) of the annual operating budget of the congregation may be funded by distributions from this Endowment Fund. Endowment Fund distributions shall not exceed one hundred percent (100%) of the defined undistributed income beginning balance portion of the Endowment Fund during any fiscal year. Exceptions to either of these limits may be made (1) as specifically authorized in the terms of any Endowment Fund restricted gift, or (2) in particular, temporary, difficult circumstances, as authorized by a two thirds majority vote of the members present in a congregational meeting specifically called to exceed these limits and/or to invade the principal, and where integrity of gift restrictions permit. Undistributed income need not be fully distributed during any fiscal year and may accumulate. In the event the church votes its merger with another Unitarian Universalist church or its dissolution at a meeting duly called for that purpose, all its assets, after payment of liabilities, shall be distributed to the combined church or, in the case of dissolution, to the Unitarian Universalist Association (or its future successor organization at the national, continental, or world level) for the purpose of extending the Unitarian Universalist faith. This Article shall be unalterable. March 15, 2010, bylaws as amended by the Board of Trustees on June 13, 2011, to become effective July 13, 2011. Subsequently amended by the Board of Trustees on April 9, 2012, to become effective on May 9, 2012. Amendments to Articles 6, 7, 10 and 12 were adopted by the Board of Trustees on April 8, 2013, and became effective on May 8, 2013. Amendment to include Article 13 was adopted by the Congregation and became effective on October 25, 2015.